This 2-day course focuses on the rollout and daily operation of a Kanban system. You will consider what type of Kanban initiative is most appropriate for your organization and how to manage and evolve it over time without trauma. Learn how to improve agility with asymmetrical commitment and cadences. Also covered in this course: recommended meetings, handling metrics, and setting policy. This course is the second of two courses towards the Kanban Management Professional (KMP) credential. By completing both KMP I and KMP II, participants can achieve the KMP credential with the Lean Kanban University®. Please register using a corporate email address, if applicable, as that is how we determine corporate loyalty program discounts. 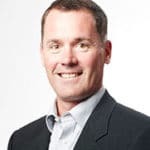 Travis Birch has extensive experience in consulting, coaching and facilitation in organizational transformation and team building methods since 2008, with a focus on Agile methods. Travis has worked with executive leaders, managers, staff and other consultants to move them towards higher levels of Real Agility. This includes organizational consulting, transformational change management, culture change, overcoming resistance to change, all while focused on great business results and creating a great work environment. This 2-day course focuses on the rollout and daily operation of a Kanban system. You will consider what type of Kanban initiative is most appropriate for your organization and how to manage and evolve it over time. This course is the second of two courses towards the Kanban Management Professional (KMP) credential. By completing both KMP I and KMP II, participants can achieve the KMP credential with the LeanKanban University®. Berteig's Agile training is superior because of their very deep practical experience that is brought to the class room sessions. Anyone serious about learning Kanban should take their KMP courses. Great training on Kanban approach with very helpful insights from real case studies brought in by the participants. The exchange of experience from the instructors and amongst the teams is a great way to learn fast and be ready to apply the learnings in real life. Berteig makes learning Kanban Systems and Management easy using real world insights, examples and methodology. The teaching style is simple and effective. James is a great teacher. If you want your company to get better at providing value this is the course for you! Any training I've taken with Berteig and James Steele has been fantastic. Berteig always meets and exceeds my expectations. James is a fantastic coach/trainer, very knowledgeable, open to debate on Kanban methodologies and fantastic at explaining the course material. Always goes above and beyond by providing additional information and subject matter that we can reference for future use. James and the Berteig family have provided a first rate experience! I look forward to applying what I learned from James. This was my Ah-Ha moment for Kanban. Excellent and professional course to help you excel with Kanban. This course helps bring comfort and confidence to those who are interested in finding a way without a way, in better understanding how to successfully navigate in a complex world and how to make our businesses fit for purpose. KMP II was great. Travis was very knowledgeable and responded very well to all questions. The course has given me a deeper understanding and appreciation for Kanban. 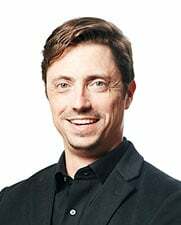 It has helped me connect the dots by providing a bridge between traditional ways of working and full-on Agile ways of working. Very knowledgeable instructor. Covered a lot with real world examples. Travis has managed to clear my confusion in a day. I've lived with this confusion for over 2 years. Thank you Travis. Travis was an excellent Coach, the pace was excellent. The games and case studies were very relevant. Travis is a patient &amp; excellent teacher. Have a deeper understanding of Kanban practices to sustain evolutionary improvements. Pull at enterprise scale and how to implement Kanban Cadences for improved organizational feedback loop mechanisms. Those who want to grow a learning organization, where many such services connect and interact. All attendees receive a free electronic copy of ‘Kanban’ by David J. Anderson, that outlines how to use Kanban in your existing processes, to catalyze cultural change and deliver better business agility. You also receive a coupon code for discounts on any BERTEIG-offered learning events which you can pass along to colleagues, friends, family or even use yourself! All attendees also receive a complimentary spiral-bound notebook with lined paper and zipper pocket to take notes during the class and to record your Agile learning journey beyond the classroom. 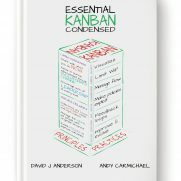 Attendees can download ‘Essential Kanban Condensed’ by David J Anderson and Andy Carmichael, any time directly from the LeanKanban University website (now available in 4 languages). Q: Prices are in what currency? A: Visa, Mastercard and American Express. We do not invoice for training. Under special circumstances we can also accept wire transfers, personal cheques, cash, PayPal and purchase orders. Please contact accounting@berteig.com for special payment arrangements. Q: I need to cancel my place due to... what do I do about it? A: If your request to cancel is made ten (10) business days prior to the Learning Event, then you will be issued a refund and your spot will be made available for someone else. Please contact accounting@berteig.com with the order number you wish to have refunded. Within ten (10) business days, no refund is possible for any reason, but we will offer you a spot in a future class at 50% of the normal list price (no other discounts will apply). In the rare case of family or medical emergencies, please contact sales@berteig.com as soon as you can and we will work with you to find a suitable solution. Q: I need to change the course date I am registered for due to... what do I do about it? A: As with cancellation, if your request to change dates is made ten (10) business days prior to the Learning Event, then you can be moved. Please contact sales@berteig.com with your name, current course date and requested new course date.Within ten (10) business days, no changes are possible for any reason, but we will offer you a spot in another class at 50% of the normal list price (no other discounts will apply). In the rare case of family or medical emergencies, please contact us as soon as you can and we will work with you to find a suitable solution. Q: Can I send someone else in my place? A: Yes. You are welcome to change the registration information for a spot at a Learning Event at any time. Please contact sales@berteig.com with the details including your own registration information and the full name, email address and phone number of the person who will attend in your place. There is no charge for such a change. Q: I found "the same" course for less... will you give me a discount? A: No. You have registered for a premier learning event, not a clone of some other course. Q: Do you ever offer discounts? A: Yes. Everyone who attends one of our Learning Event is given a discount code to use on other courses or to pass along to coworkers, associates, family and friends. Also, if you belong to an organization that sends more than 5 people to our training courses, you may be eligible for our Loyalty Program. The more people attending our training, the higher the discount available. Please contact us at sales@berteig.com to find out more. Also, we offer "Early Bird" discounts on some Learning Events. We encourage you to register early to take advantage of this offer. Q: What if I register, then later discover a Loyalty Program discount was applicable. Can I get the discount applied retroactively? A: Yes, you can. Please contact accounting@berteig.com with your order number for which you would like the discount applied and your Loyalty Program coupon code. Q: Is your training tax deductible and can I get a T2202A slip? A: No, our training is not eligible for tax deductions. We do not give T2202A slips. 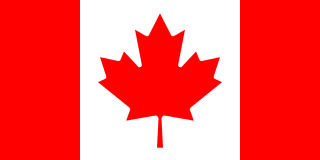 T2202A slips are usually issued from Post Secondary Education Institutions like a college or university. We are not such an institution. Purchasing our training is more like purchasing a book or a ticket to an event. Q: How do I become a Certified ScrumMaster (CSM)? A: Scrum Alliance is the governing body for this certification and BERTEIG is licensed to deliver the training portion. Full details may be found at https://www.scrumalliance.org/get-certified/practitioners/csm-certification. The training component of the CSM designation is available either by attending one of BERTEIG’s public Learning Events or as part of a designated CSM in-house private Learning Event. Q: What is included in becoming a Certified ScrumMaster (CSM)? A: The Certified ScrumMaster training that we offer includes all the materials that are needed to complete the training part of the certification (part 1/2). There is no extra fee for the online test (part 2/2), it is included in your registration with us. Once you have completed the training, you will receive an email within 1 week to complete the remaining step to get your certification. Full instructions will be provided in class, but don't worry, the test is easy! If you want to study, please consider reading the Scrum Guide. Q: How do I become a Certified Scrum Product Owner (CSPO)? A: Scrum Alliance is the governing body for this certification and BERTEIG is licensed to deliver the training portion. Full details may be found at https://www.scrumalliance.org/get-certified/practitioners/cspo-certification. The training component of the CSPO designation is available either by attending one of BERTEIG’s public Learning Events or as part of a designated CSPO in-house private Learning Event. Q: How do I get SAFe® Scaled Agilist Certification (SA - from Scaled Agile)? A: Scaled Agile is the governing body for this certification and BERTEIG is licensed to deliver the training portion. Full details may be found at https://www.scaledagile.com/certification/courses/leading-safe. The training component of the SA designation is available either by attending one of BERTEIG’s public Learning Events or as part of a designated SA in-house private Learning Event. Q: Where can I find more information about SAFe® training and certification? A: The best source of information is always directly from Scaled Agile at http://www.scaledagile.com. BERTEIG also maintains our own SAFe® FAQ page at https://berteig.com/faq-safe. Q: How do I become certified as an OpenAgile Team Member (OATM)? A: The OpenAgile Center for Learning is the governing body for this certification. Full details may be found at http://www.openagile.com/TeamMember. The training component of the OATM designation is available either by attending one of BERTEIG’s public Learning Events or as part of a designated OATM in-house private Learning Event. Q: How do I become a PMI Agile Certified Practitioner (PMI-ACP)? A: The Project Management Institute is the governing body for this certification. Full details may be found at https://www.pmi.org/certifications/types/agile-acp. The training component of the PMI-ACP designation is available either by attending one of BERTEIG’s public Learning Events or as part of a designated PMI-ACP in-house private Learning Event. Q: How do I become certified as a Team Kanban Practitioner (TKP)? 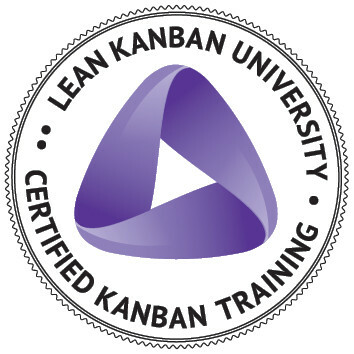 A: Lean Kanban University is the governing body for this certification. Full details may be found at https://leankanban.com/team-kanban. The training component of the TKP designation is available either by attending one of BERTEIG’s public Learning Events or as part of a designated TKP in-house private Learning Event. Q: How do I become certified as a Kanban Management Professional (KMP)? A: Lean Kanban University is the governing body for this certification. Full details may be found at https://leankanban.com/kmp-program. Note this is a two-class certification – you must complete BOTH the Kanban Systems Design (KMPI) class AND the Kanban Management Professional (KMPII) class. The training component of the KMP designation is available either by attending BERTEIG public Learning Events or as part of designated in-house private Learning Events. Q: How can I claim my CSM or CSPO class for PDUs from PMI? A: BERTEIG is a Registered Education Provider (REP) with PMI for the CSM and CSPO courses. Please log in to your account on the PMI Continuing Certification Requirements System (CCRS) website at https://ccrs.pmi.org and choose BERTEIG as your REP when entering in your learning experience. Be sure to choose the appropriate class you took (CSM or CSPO) to claim the appropriate PDUs. Q: How can I claim my class (non CSM or CSPO) for PDUs from PMI? A: If you have completed a Learning Event with BERTEIG that has appropriate content, once you have completed the class you may find a digital copy of a letter of attendance in our file repository. Please use this letter as evidence of attending the class. If you cannot access the letter of attendance, please either contact your instructor or the course administrator and they will be happy to provide one for you. Note that you will need to retain this letter for audit purposes. Obtaining PDUs is your responsibility once BERTEIG has issued the letter of attendance. For more information, please refer to the PMI CCR Certification Requirements Handbook at https://www.pmi.org/-/media/pmi/documents/public/pdf/certifications/ccr-certification-requirements-handbook.pdf?la=en. Q: What if I'm shy and don't like interacting with people? A: Our Learning Events are highly interactive... and we make them safe and comfortable for even the most shy people! Our facilitators are experts in creating an environment where everyone is encouraged to participate without forcing you to do things or say things that might be uncomfortable. This is not like school. This is not like a university lecture. This is not like a high-pressure business meeting. Q: What if I'm just coming to get a certification? A: Okay! 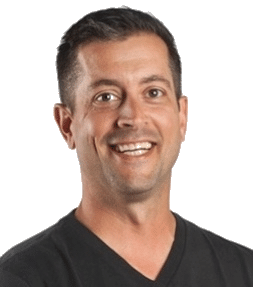 We know lots of people who have come to our Learning Events in the past, walked out with a valuable certification, and told us in no uncertain terms that it was the best "course" they had ever attended, they learned far more than they expected, and they are excited to apply what they have learned as soon as possible. But sure, you can attend just for the certification! A: For most learning events you do not need to bring anything. During the Learning Event session, you will be asked to keep electronic devices out of the learning environment. You are welcome to bring your own notebook for note-taking but we provide materials for this as well. Check the description of your Learning Event to see if there are any special requirements. A: We normally provide coffee, tea, and light snacks in the morning and afternoon of a Learning Event. Lunch is not usually provided. Q: Why don't you provide printed books of your slides? A: First of all, we usually don't have many slides (if any!) in most of our Learning Events - instead we have a moderate number of handouts. The only exceptions are typically the SAFe training classes where we are a delivery partner and the materials come directly from Scaled Agile - in those classes there are typically a lot of slides and printed books. Secondly, printing heavy books uses a lot of paper and energy for something that most people don't ever refer back to after their "course" is finished. Third, you will learn better by taking your own notes (and we provide a simple structured way to do this)! For our own classes (not the Scaled Agile classes), handouts will be provided in electronic form following the class via file sharing system. Q: When does my Learning Event start and finish? A: Normally our Learning Events start at 8:30 sharp and end by 5:00pm. Some Learning Events may have other schedules. Please read the page about your particular Learning Event to know exactly what time it starts and ends. Q: Do you offer your Learning Events as private in-house sessions? A: Yes. Please contact sales@berteig.com for more information and to receive a quote. Typically in-house sessions are scheduled six or more weeks after a contract has been signed - please ask for a quote as soon as possible if you think your need is urgent! We can also create custom Learning Events for an additional fee. We even do train-the-trainer programs for larger organizations who wish to leverage in-house staff. Generally, we avoid doing the CSM and CSPO Learning Events in-house and encourage you to come with your group to a public session. Q: What if I have an emergency and have to leave for some/part/most of the class? A: Depends on the emergency. If it is a medical emergency for yourself or a family member, we will work with you to either re-schedule or refund your money depending on circumstances. We don't have a fixed policy about this. For work related emergencies, we will not issue a refund, but will offer a spot to you at a future course at a 50% discount rate. Q: Do you recommend any supplemental learning resources? A: Yes. We have a list of recommended reading for agility that is organized by type of learning event. Q: Does BERTEIG partner with others to advertise and deliver training? A: Yes. We partner with training resellers who can reach different people than we can. If you have a question about our resellers or if you are interested in establishing a partnership relationship please contact sales@berteig.com. Q: I am a trainer myself. Can I list my courses on this website? A: No. This is one type of partnership that we are considering but have not yet established. If you are interested in this type of partnership, please contact sales@berteig.com.